We’re looking to recruit a Senior Committee Clerk to manage a small team of committee officers and to manage formal committee meetings at the Council. You will be working within a great team at the Council with the support of a line manager but with the autonomy to manage the service as you see fit. The ideal person for this role will be comfortable working in a fast-paced environment and to be successful you’ll need to be as comfortable driving whole-scale improvements to the service as you are keeping a careful eye on the detail of the reports that come across your desk. You will have experience of working in a local authority with at least two years’ experience of working in a political environment ideally in a committee clerk role or similar. Previous management experience is desirable but not essential. To be successful you will need to have experience of working with elected members and senior officers and have a clear understanding of what a well-run committee service looks and feels like. You will have excellent communication and organisational skills and know when to apply tact, sensitivity and diplomacy. You must have a firm grasp of the use and application of IT systems, particularly committee management software. This role is politically restricted under the Local Government and Housing Act and is based out of our main offices in Swindon town centre. We encourage flexible working and expect the successful post holder to manage their own time effectively as this role will involve some out of hours working as the majority of our committee meetings are held in the evening. 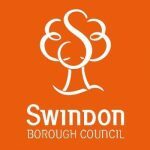 For an informal conversation about the role please contact Sam Mowbray on smowbray@swindon.gov.uk to arrange a convenient time to speak.